Taking care of animals is a passion of ours and we truly enjoy having the opportunity to work with pets every day. All of our pet groomers are professionally trained and certified. For pet lovers throughout Eastern Pennsylvania, Plush Pups Boutique carries a wide range of pet supplies. We carry some major brands, but we specialize in unique pet products. Healthy dog food, cat food, and treats for our Greater Philadelphia customers. Our premium selection of dog food & cat food brands in our pet store are made right here in the USA. 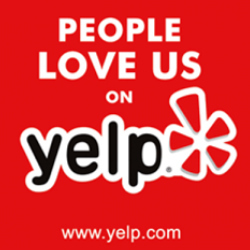 We are proud to be 5-Star rated on Yelp and ranked the #1 Dog Grooming result in Huntingdon Valley with over twenty reviews! Whether you are new to the Philadelphia area or just looking for a new dog groomer in Philadelphia, Bucks, or Montgomery County, we welcome you to give us a call at 215-947-2022 or stop by and meet our certified dog groomers and friendly staff. Located on Huntingdon Pike just one block north of the Welsh Rd./Philmont Ave. intersection, about 100 yards past the traffic light and on the right. Just look for our signature Purple sign out front. Get Directions. Plush Pups Dog Grooming & Boutique is a crate free salon style grooming facility. All dogs are cared for one at a time by our Certified Master Groomers from start to finish. Pets are groomed by appointment only just like at a human hair salon. Your dog is NEVER placed in a crate or kennel for drying or waiting. All dogs are dried by hand. Our crate & kennel free pet salon is a clean, bright, safe, and peaceful dog grooming environment. Top Notch Certified Groomers that will take wonderful care of your pets during and after the grooming, our dog groomers have experience with all breeds. We welcome you to stop in and view the salon, ask questions, and meet our professional dog groomers. Our goal is to provide you and your pets with the BEST dog grooming service in the Philadelphia region. Plush Pups also specializes in American made pet supplies, dog & cat food, treats and more, you and your pet will enjoy browsing our pet salon & boutique. We provide exceptional dog grooming services for the following communities and surrounding areas: Huntingdon Valley, Philadelphia, Northeast Philly, Southampton, Fort Washington, Jenkintown, Willow Grove, Bethayres, Horsham, Hatfield, Warminster, Langhorne, Glenside, Feasterville, Trevose in PA, and South Jersey. Huntingdon Valley’s Premier Independently Owned Pet Store and Dog Groomers.